A few days ago I posted an audio excerpt from an interview I did with blues legend Albert King back in 1990, in which he talked about his biggest musical influences. As a followup, I thought I’d post a soundbite from another King I loved. 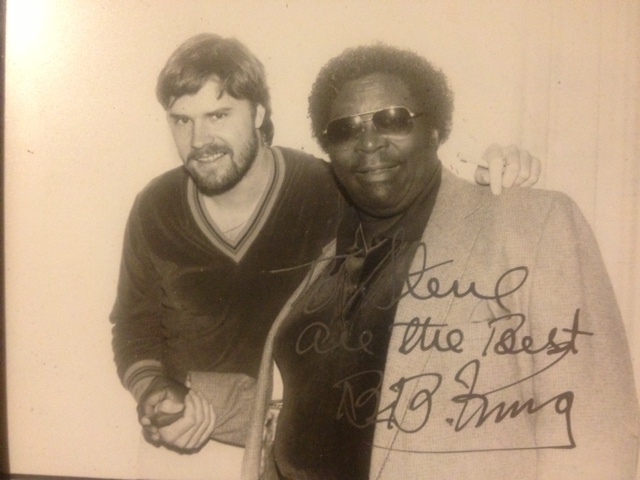 Way back in 1984 I did my first interview with B.B. King when he was playing a string of shows at the Plazazz Showroom in North Vancouver. Man, was he ever a nice guy. Here he is talking about what it’s like to carry the title of King of the Blues, and who would be his King.